With our impending dream kitchen remodel right around the corner we’ve been doing quite a bit of planning, research, designing, scrapping, and redesigning lately (that’s normal isn’t it?). 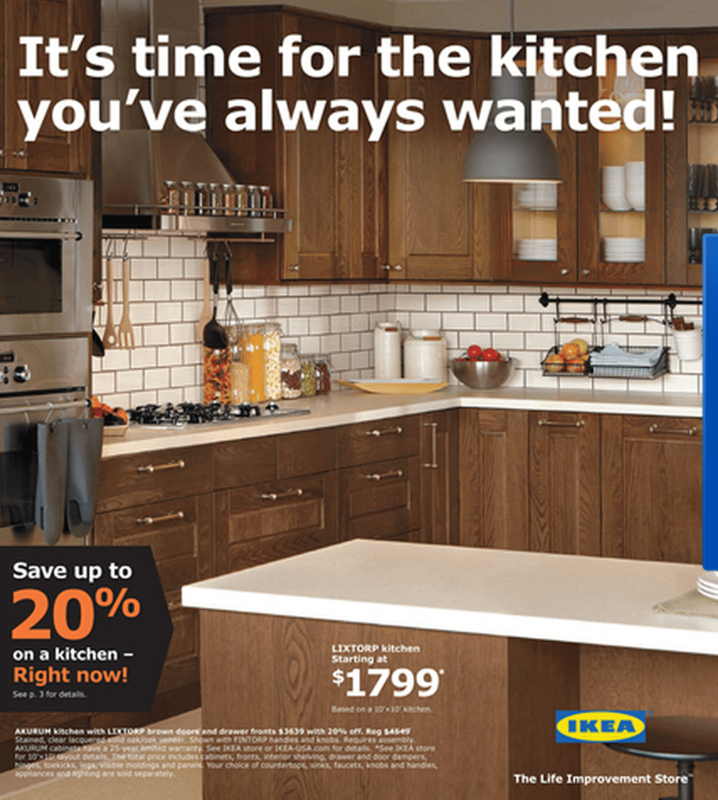 We have decided to fill our kitchen with a little bit of Swedish design aka Ikea kitchen cabinets… and, wait for it, the 20% off sale is finally here! So it looks like Katie and I will be caving very soon and tapping into our Kitchen Remodel Fund that we set up back in October. Knowing that it’s cabinet time makes everything feel much more real. — I can’t believe how quickly spring is approaching! (Spring has been our timeline goal). Anywho, be sure to keep your eyes peeled for posts on our design process and how we ultimately came to the Ikea kitchen decision. Oh, and don’t worry, as we kick off the actual remodeling process you will be kept in the loop on all of our bumps, bruises, successes and missteps along the way (it’s going to be a huge task… just writing this post has me shakin’ in my boots). Now let’s do this thing. Anyone else out there tackling a kitchen remodel? Have you decided on a brand? What are your thoughts on Ikea’s line of cabinets?